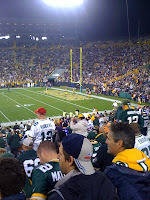 Green Bay Packers vs. Minnesota Vikings tickets are available for Monday night's game on November 14th. 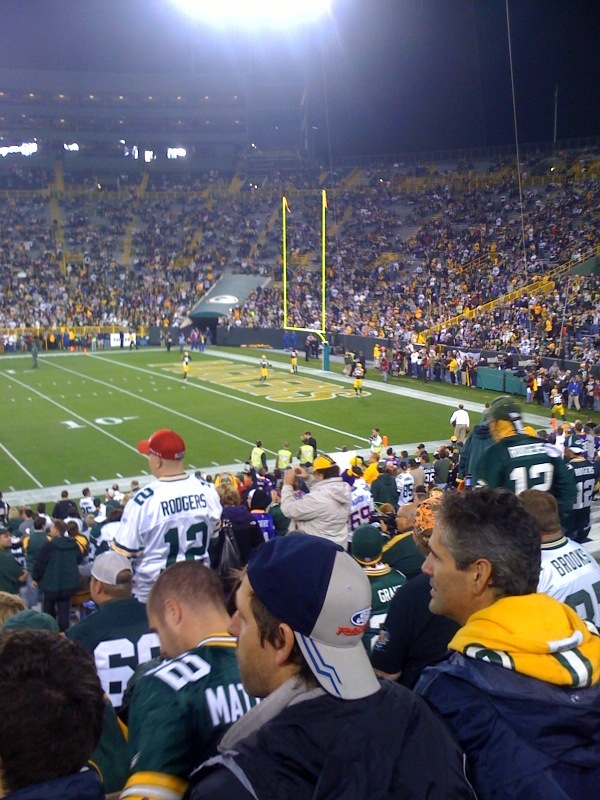 The Monday night Packers vs. Vikings game at Lambeau Field starts at 7:30 PM. Doesn't it seem like the Packers and Vikings just played? That's because they did. The Packers defeated the Vikings at the Metrodome a little over a week ago, 33-27. Right now, the Minnesota Vikings are sitting at the bottom of the NFC North with a 2-6 record. The Packers, as you know, are coming off their bye week with a 7-0 record. Next Monday night's Packers vs. Vikings game should be an easy win for the Packers as they have a strong tradition of winning at home.